We first met Javier Saucedo during his junior year at Akins High School. He had always loved guitar, but never had a teacher or an opportunity to perform. That all changed when he saw a flyer about a new guitar class at Akins. Javier told us, “I couldn’t believe I could actually play guitar during the school day and receive credit for it!” That first semester the class was small, but Javier felt right at home with the other guitar students, and the experience of rehearsing and performing together made them all close friends. 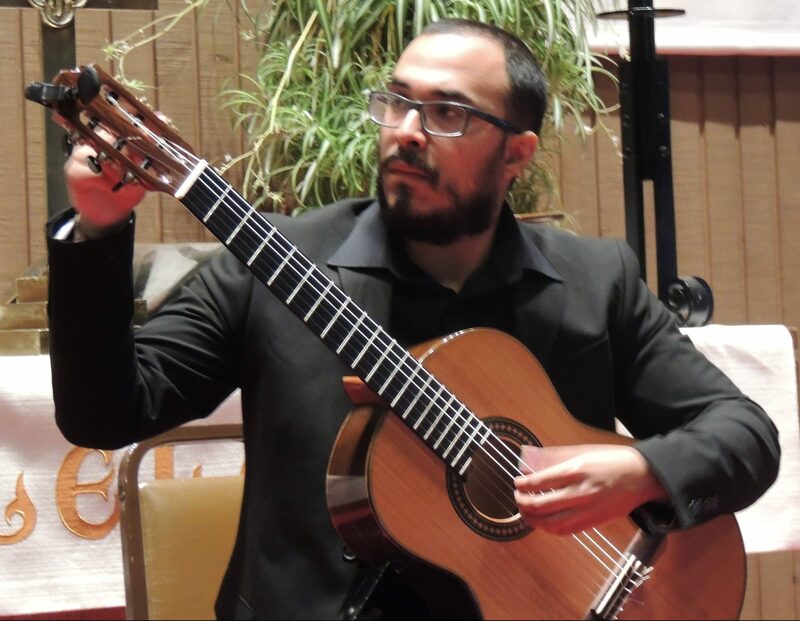 In January, Javier became an instructor with ACG’s Free Lessons Initiative, which provides weekly private guitar lessons to students with financial need. He’s now teaching at Paredes and Mendez Middle Schools, as well as Akins High School, working with students in the very same classroom he himself was in only five years ago.